The MV Norwegian Star of the Norwegian cruise Line made its inaugural call to Dominica on Saturday October 29th, 2010, amidst all the independence festivities. 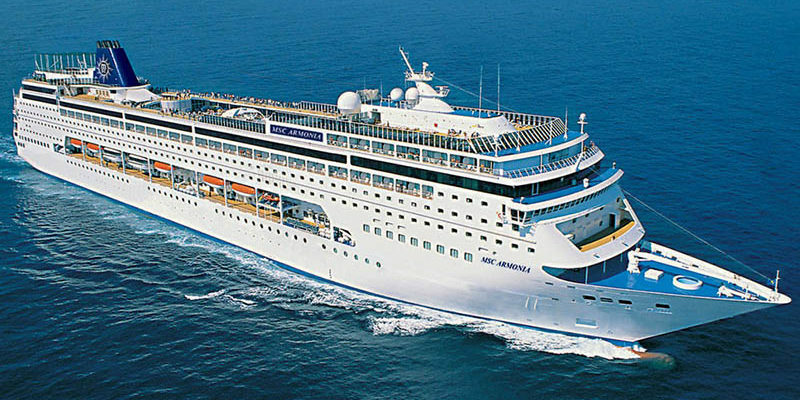 Representative of the ship’s agent H.H.V Whitchurch and Company Limited Hans Victor encouraged the ship which is scheduled to make only one call to Dominica to add the island to its monthly itinerary. Permanent Secretary at the Ministry of Tourism Mrs. Esther Thomas said that it is indeed a pleasure to welcome the Norwegian star to the island on behalf of the government and people of Dominica. In the interim the ship’s captain said that the Norwegian Star is delighted to have successfully made its inaugural call to Dominica. After a brief welcoming ceremony which was held abroad the ship, officials from Discover Dominica Authority and the Ministry of Tourism as well as the Media was given a tour of the thirteen (13) deck Cruise Ship. Sadly, the inaugural call was hampered by torrential rains, forcing many of the Cruise passengers to remain on board the ship. Earlier today, Tuesday November 02nd, 2010 Carnival Victory of the Carnival Cruise Line made its final call to Dominica, after citing the high cost of fuel as the reason for their decision.